This sweet little Mini Cuddlekins stuffed snowy owl has soft white fur with dark brown markings, wings ready for flight, and big yellow watchful eyes. 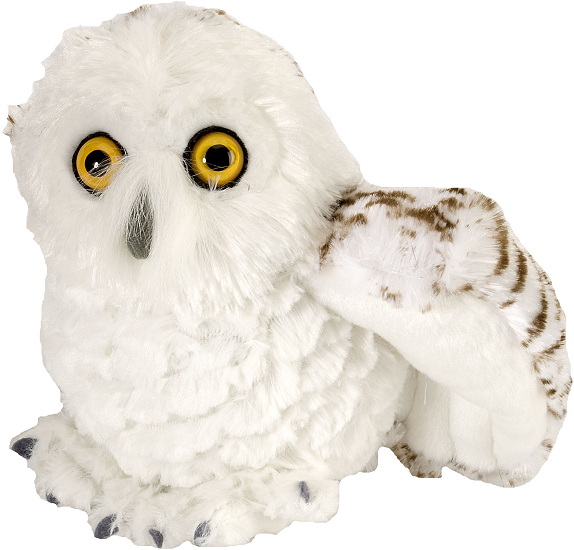 This plush snowy owl has a cuddly body and a portion of the proceeds from the sale of this cute Mini Cuddlekins stuffed snowy owl helps to provide housing and education for disadvantaged children, as well as protection for abandoned animals throughout the world. This adorable Cuddlekins stuffed snow leopard has wonderfully soft spotted fur and a sweet face with beautiful blue eyes.